Are you exhausted? Do you find yourself getting nervous and irritable for no reason? Have you suddenly lost weight despite an increase in appetite? Did you know that women are eight times more likely than men to develop hyperthyroidism? If you have one or more of these symptoms, talk with a doctor experienced in treating thyroid health. Usually, once you’ve been diagnosed, you’ll respond well to treatment. Never ignore symptoms of hyperthyroidism, it can be serious or even fatal if left untreated. You can prevent and manage the symptoms of hyperthyroidism by supporting your thyroid with a healthful lifestyle. Eat fresh whole foods and good fats throughout the day. Vegetables such as broccoli, dark leafy greens and dark colored berries, omega-3 oils from fish, walnuts, olive oil, and flaxseed can help keep inflammation under control. Get plenty of protein and eat regular meals. Bugleweed and lemon balm work great topically over your thyroid gland. Teas made from motherwort contain compounds that can help regulate your thyroid hormones. Try mixing the powder of indian gooseberry with honey to make a thick paste to eat before breakfast. Radioactive iodine treatment is considered safe by conventional medicine, but it is not without its problems. The iodine can be absorbed by other glands in your body such as your ovaries, adrenal glands or even your breast tissue. Fortunately, your thyroid gland has first dibs on the iodine that comes into your body, however, any other tissue that absorbs radioactive iodine can also be destroyed. For those with autoimmune Grave’s disease, radioactive iodine treatment can trigger ophthalmopathy, an eye disorder that is characteristic of this disease. 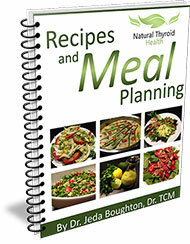 In addition, destroying your thyroid gland will not address the underlying cause of your autoimmune thyroid disease. Luckily there are natural treatment methods that can help correct your immune system imbalance. It’s important to note that pregnant women or women who are trying to conceive should not take radioactive iodine. After treatment with radioactive iodine, wait at least a year before trying to get pregnant. Propylthiouracil (PTU). Anti-thyroid drugs have been used since the late 1940s. These medications inhibit the formation of T3 and T4 (your main thyroid hormones) by blocking the interaction between iodine, peroxidase and thyroglobulin. They also interfere with the conversion of T4 to T3. Once you start the medication, symptoms can improve in as little as 1 – 3 months, and most patients continue for at least a year. Some people report a permanent improvement, but others relapse. Unfortunately, anti-thyroid drugs can cause serious liver damage, bone loss and allergic reactions. Removal of your thyroid gland is effective for stubborn hyperthyroid cases and for malignant tumors of the thyroid gland. After surgery, you will require lifelong treatment with thyroid hormone replacement. Risks include damage to your vocal cords and to your parathyroid glands (the glands that control your body’s calcium levels). 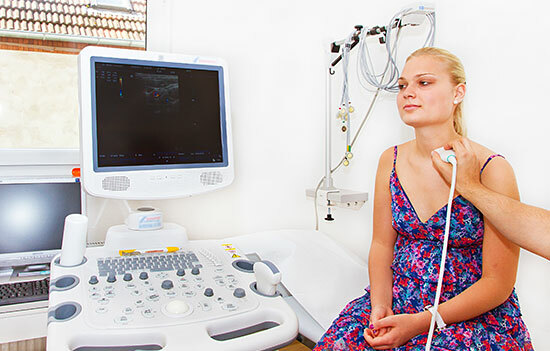 There are several options for the treatment of hyperthyroidism. Depending on your particular case, one option may be better than another. Find a doctor experienced in treating hyperthyroidism so you can discus your options and the risks involved.